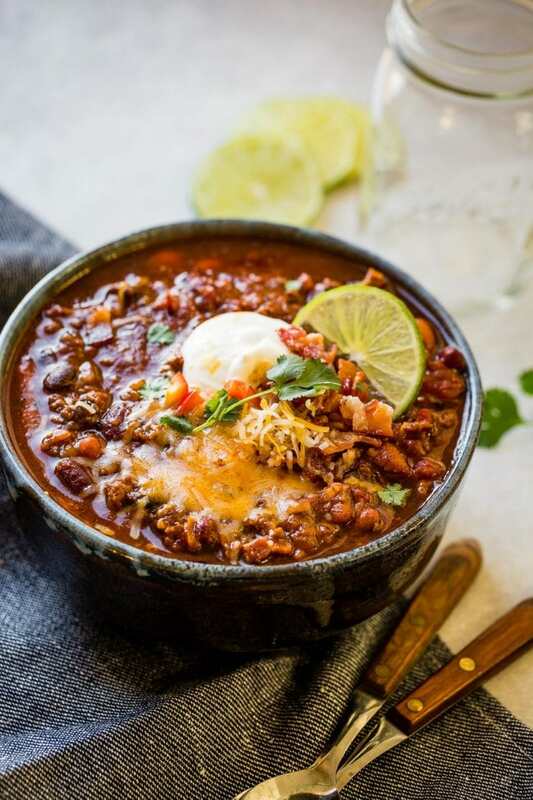 Instant Pot Chili that is award winning and bringing home chili cook-off victories across the country. You don’t want to miss diving into a bowl of our best chili recipe! 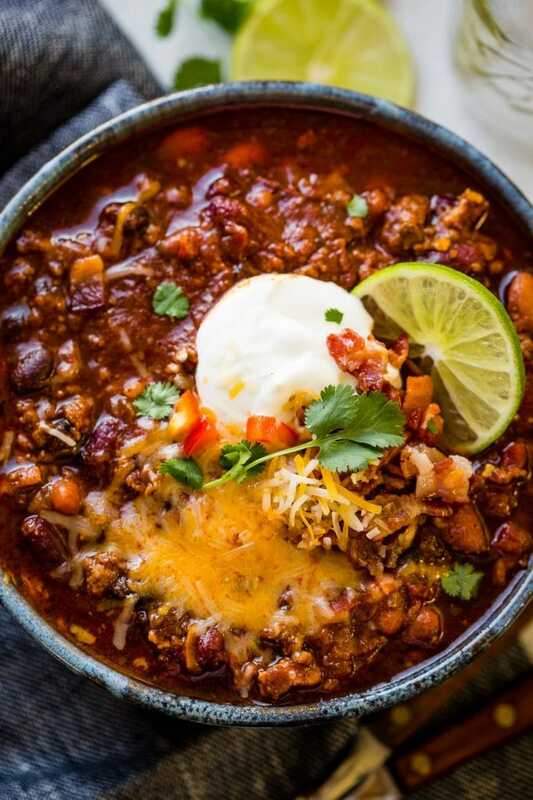 If you want chili from scratch, our instant pot chili recipe is your answer. 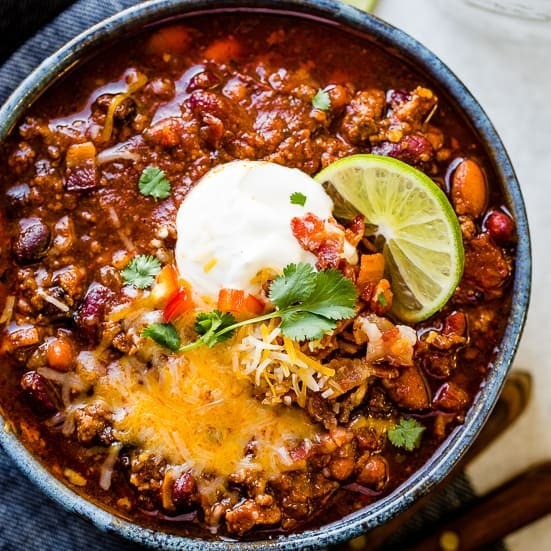 It took us 10 years to discover an award winning chili recipe and this is finally it, plus it’s an instant pot chili which means it’s all done in less than 1 hour (with instructions for cooking on the stove top or crock pot as well)!! It is full of bacon, ground beef, beans, and all the toppings you want! We will talk about how to make this best chili recipe step by step, what goes well with it, and freezing chili to eat later. So much to talk about, so let’s get going! We attended a chili cook-off and brought this awesome Cheesy Ground Beef Enchilada Chili. It was so good, but soooo many arteries were clogged that night. It’s a pretty unhealthy chili, but I heard a rumor that if you don’t eat it alone the calories don’t count. If you want a healthy chili recipe, you should definitely try our award winning healthy turkey instant pot chili and all chili, healthy or not so healthy, should be accompanied with a side of corn bread or our crazy easy 7-Up biscuits! Oh! And listen to this, at the chili cook-off a couple of people brought muffin tins and then placed a sample scoop of chili in each well so they could try them all and vote without going back or over eating. GENIUS. That’s seriously the smartest thing ever. Next to figuring out this award winning instant pot chili recipe, right?! We hurried and made you all a video to help with the questions. Thank you for all of your love and support with this best chili recipe! Making the best chili ever in an instant pot is really easy because there’s an actual setting for chili and beans (if you don’t have that setting, you can totally use “manual”). 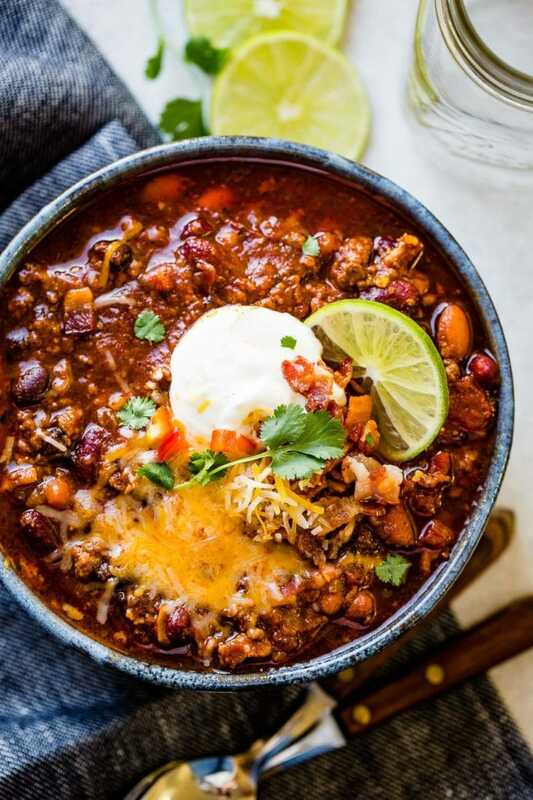 That pretty much takes all of the thinking out of this award winning instant pot chili recipe, doesn’t it? Everything can be done in the instant pot, which means only one dish to clean!! Have you seen our Instant Pot cheat sheet? Head there are all our tips for cooking all the basics in your Instant Pot! Turn your instant pot to “saute” and cook the bacon until crispy. Remove the bacon and saute the bell peppers and onions until tender. 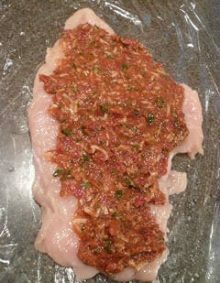 Add the ground beef and cook until browned and drain any excess grease. Place the lid on the instant pot and set to “chili” mode (“manual” can be used too). Cook for 18-20 minutes and allow a natural release fro 10-15 minutes. If you get the burn notice, please see the section below. Once it is cooked, serve it up and top with all your favorite toppings. Alright, start with your bacon. Always. We’ve already mentioned our corn bread and crazy easy 7-Up biscuits, which make awesome sides. Really any sort of bread will get the job done beautifully, but if you are making this in an instant pot, then you probably want dinner done in a hurry, so these 1 Hour Rolls are your answer! I often like something light and fresh with my chili like this garden balsamic avocado salad. I’ve also heard that people eat cinnamon rolls with chili, and I fully endorse this! Try our World’s Best Cinnamon Rolls! Chili is really easy to freeze as there isn’t any dairy or fibrous vegetables to mess with texture and flavor. Cool your chili completely and store in ziplocs with all the air pressed out, or we prefer to use our Food Saver as the chili tastes as fresh as the day it was made. You can store individual servings to eat for lunch or larger portions to feed the whole family later. To make slow cooker best chili (I linked up to the brand and model we prefer) or of course make chili in a crock pot if that’s what you have, you’ll need to cook the bacon and ground beef in a pan, then add the peppers and onions to saute them all nice and tender. Then dump it all in a slow cooker and we prefer 5-6 hours on low or 3 hours on high, though I have probably only used the high function twice. Low and slow really allows the spices to bloom, or in other words to open up and really do their thing. There is a good chili recipe and a great chili recipe, and then there is this, the BEST CHILI RECIPE! The flavors in this best chili recipe are bold and comforting! The best classic chili recipe we’ve ever had. 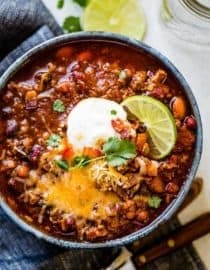 There’s nothing like a favorite, classic chili recipe to keep us warm through these bitter cold months, especially this award winning instant pot chili! 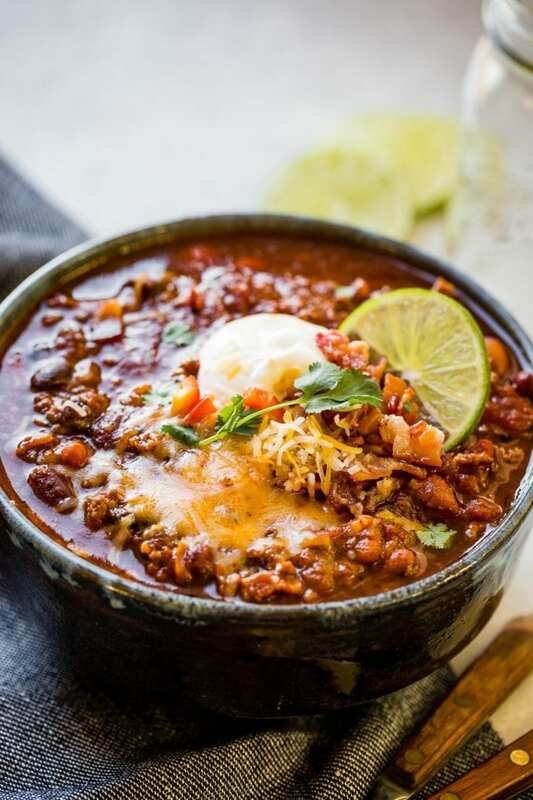 Instant Pot Chili that is award winning and bringing home chili cook-off victories across the country. You don’t want to miss our best chili recipe ever! If you are still looking for another excellent chili recipe, this Old Fashioned Chili Recipe, this All Beef American chili recipe, and this 5 Ingredient Crockpot Chili Recipe have been some of our favorites! Where do I find the actual recipe? I think I am in the minority that didn’t like the flavor of this. The beef stock, Worcestershire sauce, and bacon all together was just more umami than I am used to in my chili. I might pick one of the three, but not all at once the next time I make this. I like to have the smoky and sweet front and center and the umami in the background. This recipe just didn’t meet my personal preference. That’s the beautiful thing about food…you can alter it to your own liking! OMG! Everbody is RAVING at my house tonight! A-MAZ_ING!!! The bacon is the extra touch that makes the flavors shine! The only thing we did different was we used ground turkey for a healthier option. This recipes is a KEEPER! THANK YOU THANK YOU THANK YOU!!!!!! Award winning is a joke of a title. This is hands down THE most flavorless chili recipe I have tried. Don’t waste your time with it. Bahahaha! Have you read all the raving reviews we’ve received about this? And there is no way with all those seasonings and bacon that it will be flavorless. Thanks for trying! My instant pot doesn’t have a “chili” setting, so I opted for “meat/stew. For anyone else with a similar issue, do NOT use this setting. It doesn’t come to pressure, just boils. Use the “manual” setting. Hi Nicolette! Yes, “Manual” is the setting you want. I have made this twice and it’s great! I think it did burn a little the first time, so the second time, I put the tomato paste on top of everything else after I had stirred them together so the tomato paste would not burn. The liquid part of this is so delicious. Thanks for the feedback Donna!! Glad you enjoyed it! I’ve made this twice now and the second time I “adjusted” the recipe to be Whole30 compliant, and both times my husband and I have been blown away with how good it is! Definitely our go-to chili recipe from now on! Thanks Elizabeth!! We love to hear that! Hi I’m new to instapot. What does it mean when you say “allow pressure to release for 10-15 minutes”? Does that mean to turn the knob on top one way or the other? Ok, so instead of turning the pressure valve you leave it on seal when it’s done cooking and it naturally, slowly releases pressure. Then after 10-15 min you turn it. Hi, the serving size says one bowl. Is that one cup serving size or something else? This is our 2d time making this. It really is delicious. Thanks Trish! Yes, about 1 cup serving size. Great recipe. I read the comments before cooking so I was able to adjust as needed. I used a 6qt LUX pot. I increased the bacon a couple slices only because I love bacon. Didnt have any issues during sauté. Veggies came out perfect. I also increased the beef because I didn’t want to waste any. Used 2.25lbs. Worked just fine. I like to season throughout the cooking process so I added salt and pepper to both the onions/bell pepper and ground beef above what the recipe calls for. For the spices I added 1.5tsp of cayenne pepper for spice, 1.5 tbsp of granulated garlic, and 1/2 tsp of red pepper flake. This brought the heat level up, but didn’t over power the dish. After I got the top on I used manual for 18min. It filled the house with an amazing chili smell. Ate with cheese,sour cream, and cilantro. Simple amazing!!! Thanks for a great dish. Sounds delicious! So glad you enjoyed it Brian! Made this for the second time tonight. EXCELLENT recipe! the family loved it. Info for the folks that have problems with Burn message. The first time I made this I followed the instructions as written and got a burn message just after reaching pressure. I have two IP so I released pressure and carefully emptied the contents into a clean pot and restarted. Again just after coming to pressure burn message again. I just simmered on saute for 10-15 minutes and it turned out ok. This time I followed the instructions EXCEPT I didn’t add the tomato paste until after pressure cooking was complete. I let the pressure natural release for 5 minutes then quick released the pressure. Added the tomato paste and simmered on saute mode low for about 10 minutes. No burn messages this time. Turned out wonderful. I followed the recipe as written with one exception, in place of the jalapeno I put a can of chipotle peppers in adobo sauce into a mini food processor and processed until everything was chopped and added 3 or 4 Tbls , maybe a little more 🙂 . It added spice and a nice smokey flavor. Careful if you don’t like heat, chipotles (smoked jalapenos) can be quite spicy. Thanks for the feedback on the burn message! I love the chipotle peppers in adobo sauce addition! I’ll have to try that next time! Oh my goodness. My husband and I just finished our bowl and needed to post a comment because WOW! I’ll spell it for you backwards too…WOW! We made it with a tweek here and there because we were missing some ingredients and did it with homemade Worcestershire sauce…..SO GOOD! It is safe to say we will be using this for the chilli cook off this year. Hahaha! I love this Crystal! Thank you! I am trying this recipe for the first time tonight, but I have a question. I have a large family so without a doubt, I will need to double everything and we may have a little left over (I’m hoping)! I’m still new to IP cooking. With that said, does the cooking time remain the same (18 minutes) or should I add time for twice the amount of ingredients? Cooking time will stay the same but we’ve had mixed reviews on a double batch fitting in the IP. You may want to consider cooking it stove top or in two separate batches. You’re right. It doesn’t quite fit into a 6 qt. but I think if I had an 8 qt. it would. I went ahead and mixed up a double batch then took some out and set aside, which actually worked out perfect as my husband likes it spicier than the rest of the house, so I spiced his chili up with some red pepper flakes! I have a hard time getting all of my children to eat one meal, but loved this recipe! My 4 year old specifically told me that she does not eat chili, as she was watching me make it. I told her this was a different recipe than I normally make and she was at least going to try it. We topped it with sour cream and cheese and my 4 year old ate 2 bowls! Now that is a reason to celebrate!! Any time the whole family likes a meal it is like a PARTY!! You’ve made my day Tanzi!! Made this tonight—4th thing I’ve made in the Instant Pot (still a novice). I followed the recipe exactly and it came out AWESOME!!! I’m replacing my old chili recipe with this—so much better! I had no issues with burning like other reviewers. I used the 8 qt pot and didn’t change a thing. Thanks for the great recipe!!! Love to hear it Megan!! Your feedback is so valuable! So glad you enjoyed it! Instant Pot success! I’m pretty new to the IP world and this is the first chili recipe I’ve tried. It is now filed away as the only one I need! I also used 2 pounds of beef, because I didn’t feel like splitting it up. I added a hair more stock because I was afraid of some of the other comments warning of burning or not enough liquid. In the end, I dont think it was needed. I also didn’t realize until it was too late that I didn’t have enough cumin and paprika on hand. I just used what I had and it was still delicious. Cant wait to see what it tastes like when I use the right amounts!! Thank you for the feedback Meagan!! I’m so glad you enjoyed it! The Instant Pot really works wonders! I was going to complain about the absence of a ‘Jump to Recipe’ button, but the chili was so good, I’m no longer annoyed. ;-)) Awesome, you two; I stayed pretty true to your recipe adding only another half pound of meat, a second pepper, mushrooms, and 1 tsp. of Chipotle Chili Powder for a smokier flavour and a little heat. I did not add the Jalapeno or the bacon. Trying to limit my red meat intake, so I’ll try it with ground turkey next time. Many years ago I was part of a chili cook-off team, so I’ve made, and eaten a lot of chili; this one is up there with the best I’ve ever had. We go back and forth on the “jump to recipe” button all the time! So glad you enjoyed this recipe! You’ll have to let us know what you think about the turkey version when you make it. Ive attempted this twice. The first time was exactly as written. Of course I got the burn notice. So I emptied the pot cleaned re-attempted. Yep burn notice. Did that twice, same results. Ate some uncooked chili. Second attempt cleaned the pot after cooking meat. Threw everything back in…burn notice. Emptied cleaned, repeat times 3…and yep, burn notice. Rage and threw it away. lol I don’t think i could have thrown my food away. If I was desperate I would have just put on the saute function and cooked it. I mean its not as fast os using the pressure cooker, but its better than wasting ingredents. plus the flavor would have been the same. I was afaid of burn notice so I just put tomato products on top. It came to pressure and is counting down right now. I made this with my 2, 4 and 6 year old kids tonight and it was brilliantly easy! We added a cup of chopped carrots and stirred in a cup of frozen corn once it was done cooking… I probably added extra broth but my son was pouring so who knows 😂 I decided to cook brown rice (in the rice cooker) at the same time and was really glad as the chili was a bit liquidy. It was AMAZING over rice!!! Most of us put shredded cheese on top but my 4 year old chef ate his pure and asked for seconds. Super yummy recipe and lots of leftovers. Thank you! I love it! Thanks Jillian! I love the addition of the carrots! I’m going to have to try that! Would I need to make any changes to the amount of liquid or the cook time, if I use dried beans instead of canned? 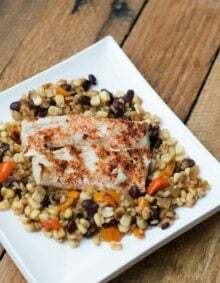 If you use dried beans, they will need to be soaked overnight and cooked completely before adding them into this recipe. I had my husband cook the ground meat (used venison) in a skillet while I cooked bacon & veggies in the IP. Just to save time. I removed the bacon, but left the grease in there. Sautéed the veggies in it, and the liquid from the veggies deglazed the browned bits. So, maybe others getting a burn notice have lots of browned bits on the bottom of the pot? Just a thought. I mixed everything, but just dumped the tomatoes and paste on top…didn’t mix those up. I didn’t have a problem! I have the LUX version. No chili button on mine, so just used manual at 18 min. Great recipe! Thank you for the feedback Patty! It is so hit or miss for everyone. We are working on a section to address the whole BURN message thing. Your feedback is so appreciated! Xoxo! This is some of the best chili I have ever had in my entire life! My family loved it so much that my plan to have leftovers never came to fruition, haha. I have one of the newer Instant Pots and also got the BURN message. Rather than take everything out of the pot and washing it as suggested by so many sites, I just went in there with a spoon (after turning it off) gave the bottom a good scrub and added a bit more broth. These newer pots apparently don’t like tomatoes very much so now I add the tomato products on top of everything else. Thank you for the great info Maribel! No leftover is both a blessing and a curse! Haha! Absolutely fantastic flavor!! Thank you! Can someone please help me with the burn issue? This is the second time I’ve tried making this recipe and it burns every time. I even cooked the bacon, beef, and veggies in a separate pan so the instant pot was 100% clean with nothing on the bottom. I even added extra beef stock. I never get the burn message for other recipes. I added the tomato products on top and it came to pressure. This is the only chili I will make anymore, since I discovered and fell in love with it six months ago. I am participating in the Whole30 this month, and decided to give a Whole30 specific chili recipe a try. Umm, I’m forever changed and that just won’t do, apparently! So tonight, I made homemade Worcestershire sauce and swapped out the beans for extra peppers, celery and jicama. And guess what – it’s still DELICIOUS! Bravo. You have a true fan over here! You’ve made my day, Angela! Way to be creative and make it Whole30 approved! Xoxo! Ok… so I always get upset with people who don’t give rave reviews about a recipe when they tweak it. But I am tweaking it tonight. I’m a Nurse at the VA in surgery and always cook a home cooked meal for my call crew (usually 4 people- but at least 10 people randomly show up when they know I’ve cooked something). I read nothing but positive things about this recipe! And for that purpose, I am attempting to double the recipe, using my instant pot not for an immediate dish… but to use the sauté mode for the bacon, veggies, and meat and then use as a slow cooker all night. I have an 8 qt. I followed this recipe EXACTLY with double ingredients, but after cooking the meat and veggies -and straining the fat off, deglazed the brown bits off of the bottom of the instant pot with 1 TB balsamic vinegar and a wooden spoon. Then I added all of the ingredients with the deglazed bits/balsamic vingegar. The instant pot is on low to simmer all night as a crock pot! You can easily double this recipe if you don’t use the pressure cook mode. It hasn’t been cooking for even 10 minutes and it smells amazing! And I have zero pans to clean yet! Thank you so much for sharing this recipe! I can’t wait to serve it to my Veterans tomorrow night! Yahoo!! How did it go tonight? Thank you so much for the feedback! It will be so helpful to our other readers! I made this for dinner tonight, it was SOOO good! I had it with cheese, sour cream and some Fritos. My husband and sons had seconds! Will definately make this again. Yessssss! Love to hear it! Thank you Jen! Can macoroni be added to this? Oh yes, I think that would work. We’ve never tried it before, but it sounds delicious! I sm watching my calories, so I am curious if the nutrition information is with or without the toppings. can you tell me the measurements for 1 bowl? is that a cup? It depends on your bowl size, but it’s about 1-1 1/2 cups. I made this chilli and Was satisfied how it Turned out. My friends also liked how it tasted. I pressure cooked it for a total of 12 minutes. I would recommend this recipe so there you go. Sounds amazing!! I love Fritos with my chili too!! Best Chile I’ve ever made! I did sauté veggies and meat in skillet on stove with spices. Added extra bell pepper, can of beans and diced tomatoes. Doubled the garlic. Used chocolate/ Chile powder mix. Extra broth. Set instapot for 1 hr. Fed 9 people. Not a drop left. Yum. Thanks Ted! Thank you for taking time to give us feedback! So glad you enjoyed it! When I did this recipe I got the burn message on my IP. I removed the contents, cleaned the pot and set it again to cook on the bean/chili setting and again got the burn message. What am I doing wrong? You don’t have enough liquid in the pot. Add some extra liquid. I’m so sorry Marilyn! It is so hit or miss for our readers for the burn message. I wish I had the end all, be all answer. Everything needs to be thoroughly stirred and additional liquid can be added if needed. We have also had readers have success with adding the tomatoes and tomato paste to the top and not stirring it in until it is done cooking. We have never had a problem with it. So sorry again! I am fairly new to the IP. I have also never commented on any of the recipes that I have ever tried, until now. So delicious!! This is now the only chili recipe I will use!! According to my son, “This chili is banging! !” Thank you!! Yessssss! Banging…I’m going to have to use that one!! Thank you for taking time to leave a comment, Jan! Xoxo! Thank you Maureen!! We love to hear other people enjoying this recipe as much as we do! Good recipe. I like a thicker chili so also add a large can of tomato sauce (or spaghetti sauce), and less broth. Hi! I’m about to try this and serve it for a small party, but I’m nervous after reading all the questions about the burn errors. I’ve never had that message on anything I’ve ever cooked in my instant pot. You mentioned it may be an issue with newer ones? I bought mine a little over a year ago… would you consider it to be one of the “new ones?” Any tips to avoid the burn message? Thank you!! Well, I made this and it was amazing! I never comment on recipes, but this was too good not to let you know. I didn’t have an issue with the burn message… to avoid it, I added an extra cup of broth and used tomato sauce instead of tomato paste. It came out a bit too liquidy. I used some flour and water to thicken it and switched it to sauté for a few extra minutes. Worked out perfectly! Thanks for the recipe. Way to improvise! I love it! So glad you enjoyed it! Hi Karla! We have honestly never had this problem, so it is hard for me to say exactly. One reader said that new Instant Pots are more sensitive, but I don’t know what time frame would constitute as “newer”. Some people have put the tomatoes and tomato paste on the top and not stirred it in and had success with no burn notice. You can always add more liquid if it seems too thick. I don’t normally leave comments for the recipies I try, but this chili is amazing. I swapped in jalapeno bacon for an extra kick, but followed the recipe to a t. So delicious! Definitely a keeper. Thanks! This recipe is similar to my old standard chili recipe, but unfortunately it did not work in our Instant Pot. We got the ‘burn’ warning of death twice in cooking cycle. I had to give up and just eat it without it ever even building up pressure. Frustrating. I’m so sorry this happened! We have never had a problem with the burn message, so I am not sure why it is happening for several people. We’ve had a few people say they had success adding the tomatoes and tomato paste on the top and not mixing it in until it is finished cooking. This happened to us too, but we took the risk and let it ride out with the burn warnings. Turned out great – and it was safe afterall! The instant pot will adjust itself on its own after the warnings, don’t worry. I came across the warn sign twice. Worth the risk, tastes delicious! Do you drain and since the beans, or just put the whole can juice and all in ? Hi Amber! All of the beans should be drained and rinsed. I absolutely love how easy this comforting chili recipe is! Thanks for sharing! Thank you Kristen! It is pure comfort!! I really appreciate your information that cooking chili in an instant pot is both quick and allows the chili to develop a great flavor. The only issue is that I do not have an instant pot and it always takes so long in a crockpot or on the stove. Until we decide to invest in an instant pot, I think that I will look into buying some quality frozen gourmet chili instead. Yes, hang on to this one until you get an Instant Pot! I made this yesterday and it was a huge hit!! I have an 8 qt duo and I wanted to double it but I read comments that it wouldn’t fit, so I ended up using 2 lbs of ground beef, 5 cans of beans, and 3 cups of beef broth. I followed the directions and mixed everything really well. Then I added the tomato paste (8-10 oz) and diced tomatoes (2 cans of Rotel – one was habanero) on top and didn’t stir. I started cooking the bacon at 4 and we were eating at 5:20!! I was expecting it to be liquidy but it was actually thick. I will probably add a little more broth next time. Thanks for the amazing recipe!! Thank you for the great feedback and all the great tips! Chili in less than 1.5 hrs…hard to beat that! Xoxo! First time instant pot user here and this was my first meal to try tonight! It was a hit!! Everyone loved it. Thank you so much for sharing this recipe. Were you so scared to use it the first time? I was scared! I’m so glad your first experience was a success! We have a whole section on the blog for instant pot recipes that you should definitely check out! I received an Instant Pot for Christmas and have been trying out different recipes in it. I came across your recipe for the Award Winning Healthy Turkey Instant Pot Chili and decided to make it for supper tonight. Wow, my husband and I both loved it!! The only thing different I did was use just one tablespoon of chili powder…hubby does not like spicy food…and I used regular bacon instead of the turkey bacon. I drained off the bacon fat. It was a delicious recipe. Thanks so much for sharing!! Yesssss! We love hearing this! We love this recipe too! It is so hearty and filling! 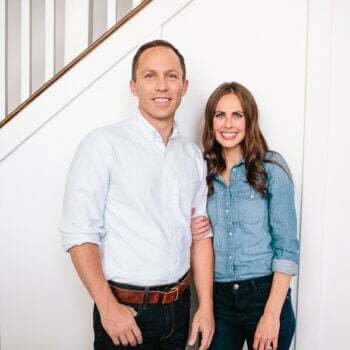 Thank you for taking time to leave a comment with us! Hey! I tried making this but every time I get burn on my 6qt instant pot. I don’t know what goes wrong. Tried adding more water and mixing it properly several times. We honestly have never had this issue, but several of our readers have. Some people have had success adding the tomato paste and diced tomatoes at the end and not stirring them in until after it has cooked. I’ve been told new Instant Pots are more sensitive to the burn message. I’m so sorry! yeah i read that later i shouldnt have mixed the tomato paste. i added a lot of water and it eventually cooked. then i dried the excess water on the saute mode. it was delicious. thanks for the recipe!! I’m so glad it worked out! Sorry it was a bit of a hassle! Hopefully all the kinks are worked out for next time! Really good. My girlfriend likes her chili bland in my opinion and I like it pretty spicy. I didn’t have jalepenos so I added crushed red pepper and extra chili powder to my bowls. Turned out very well. Will make again. Yay! We love to hear this! 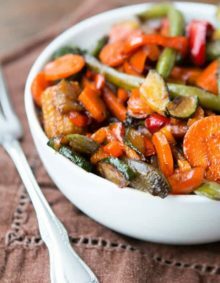 It is a great dish to and change up for different preferences! What do you do if the instant pot read burn? Hi Heather! Make sure it is stirred thoroughly. You can add more liquid if needed. 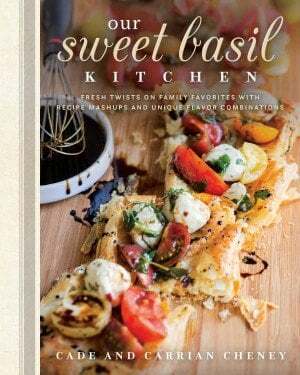 Another tip a few other readers have tried is putting the tomato paste and diced tomatoes on top and then cooking. I got an 8qt Instant Pot for Christmas and I’ve been searching for recipes to make in it. I came across this one and having never made homemade chili before, I took the plunge because of the rave reviews. I didn’t eat it myself because I do keto and can’t have the beans, but my husband and kids said it was amazing! I do have a question though. It seemed more like soup. I realized I completely forgot the tomato paste…and also the oregano. That’s what happens when I’m distracted, LOL. Could it be soupy because of the omitted tomato paste or is it supposed to have that consistency ? It looked like your pictures. I also doubled it in my 8qt and it all fit just fine with no burn messages. I’ll definitely be making this again, and next time I won’t forget to add all the ingredients , LOL. Thank you for your review Heidi! Yes, the tomato paste is the key to make it thick like you would expect a chili to be. You can also omit the beans if you want to, and then you can eat it next time. Reduce the broth slightly if you do no beans. Wonderful chili! Made this tonight and will definitely be making again and again. Didn’t change a thing. Flavorful, good texture, with the right amount of kick for our taste. Definitely a keeper! I left out the beans and therefore cut the broth to 1cup. I did not have smoky Paprika so I used regular. It turned out excellent. Love it! I love improvising with whatever I have on hand! Thanks for your review! That sounds amazing! The perfect meal! Made this for the second time tonight. My husband thinks it is the best chili he has ever tasted. Woop woop! That is what we love to hear Evelyn! Thank you for taking time to leave a comment! What size Instant Pot are you using? Could I 1 1/2 times the recipe for an 8 qt. pot? Hi Sue! We have a 6qt Instant Pot. I know for sure a double recipe doesn’t fit in an 8 qt, but I think just 1 1/2 the recipe should work. Let us know if yo try it! Sooo goood!!! I used leftover Christmas Prime rib for the meat but followed the rest of the recipe exactly in my Instant Pot. Tasted like chili that took hours to cook but it was done in no time. Definitely going into our dinner rotation. Shut the front door! That is genius using the prime rib! I’m totally doing that the next time we have prime rib! Thank you for the feedback and great idea! Use the “Manual” setting for the same amount of time listed. Enjoy! Could you replace beef stock with chicken stock.? That is all I have in stock? Sure! It will taste a little different but will still be delicious!! Well, I don’t have an Insta Pot, however I would love to make this chili using my Dutch oven. Any tips? Yes! At the bottom of the recipe card, there are instructions for making this in a slow cooker or stove top. A Dutch oven will work great!! My 12 year old son made your Chili today for his Boy Scout Troops Annual Chili Cookoff Christmas Party… and drumroll please…. It won the 1st Prize! We added a little more cumin and oregano and doubled the recipe and cooking time!!! But we’re proud to bring home the Grand Prize! Yessssss!! That is amazing! We love hearing about chili cookoff victories! So glad it was a hit for you! Love love LOVE this chili!!! Award winning is right, we won a chili cook off at hubby’s work and $50! Lol. Plus hubby says it’s the best chili he’s ever had. I think I agree. My ONE complaint is that it doesn’t make enough! Lol. I want to double this in an 8qt, do you have any insight into if the cook time needs to be adjusted? We have been told by other readers that it doesn’t quite fit in an 8 qt if you double it. You could probably double it in a very large slow cooker or on the stove top. Cook time for those methods should stay the same. I’m so glad you love it and that it brought home a victory at the chili cook off! Just won a chili cook off with this recipe! Put on the chili setting for 30 minutes. Quick release. Added more cumin after tasting one more time. Off it went on slow cook. My husband even voted for it, not knowing which one was mine! Hurray!! We love to hear of chili cook off victories!! Thank you for the feedback!! Thank you Loretta! We love our Texas followers! Thanks for the great feedback! There are a lot of comments, but too many to try to read them all to get my answer. I would like to use fresh beans. I know to soak them and I would need to use more liquid, but how long should I cook it for using the fresh dried beans? I have a 6 and 8 qt crockpot express cooker with a chili setting. Hi Jaline! You’ll want to completely cook your beans before putting them into this recipe. Hmmmm…we’ve never had an issue with extra liquid. If you do use dried beans next time, we recommend soaking them and cooking them first. CAUTION!! If you make this recipe and use the slow cooker method, do not do high for 3 hours like it says!! I used this option and my chili was dry and burned! I would not recommend high on 3 hours. All the work putting the chili together and it wasn’t edible!! That is so strange! We have made this several times in the slow cooker and have never had a problem. I’m sorry this didn’t turn out for you! I had the same problem in my instant pot bkept getting ”burn” msg. Even went back to check that used the correct amount of liquid. So disappointed. We have had several people say this which is so strange because we have honestly never had an issue with it. One reader wrote that they add the tomatoes and tomato paste to the top and didn’t stir it in until the end. I’m so sorry! You can always add more liquid if you need it. Great recipe! It won 2nd place in my workplace chili cook-off out of ~20 very delicious varieties. Made the chili the night before in the Instant Pot, covered and fridged, then transferred to a slow-cooker to transport and re-heat the following morning. Only the third time I have used my Instant Pot and everything has been great! Yessssss!! We love hearing about cook-off victories! And thanks for the tip on re-heating in the slow cooker! Can you make this in a crock pot? I don’t have an instant pot. Absolutely! Down at the bottom of the recipe on the recipe card, there are notes for cooking this in a slow cooker or on the stove top. First batch was way to ‘Tomatoey’ for our tastes. Second batch I left out the can of tomato paste, substituted a 40 oz. can of chili beans for the 3 cans & added a tablespoon of balsamic vinegar. Now we LOVE it! One of my favorite things about cooking is that we can change recipes up to fit our likes and tastes! So glad you found your perfect batch! Just finished making this in my 6 Quart Lux and it turned out perfect. I followed the instructions exactly, outside of the meat. I used half ground sirloin and half lean ground beef. Everyone really loved it! Have this planned again for next weekend. Thanks! Also, I used Manual 18 min since mine doesnt have the Chili button and let it sit on warm for about an hour afterwards while doing other things. Hurray! We love to hear it! Thanks for your feedback! This recipe sounded great. However in actual fact it is a lot of prep and when you actually cook it in the instant pot it causes a burn based on following the instructions. Wasted time and meal. I’m sorry you had problems with the burn message. If it is stirred thoroughly, it shouldn’t have problems with burning, but more liquid can be added if needed. HI, how do you prevent the chili from sticking to the bottom and burning. My instant pot give me that message, I removed the lid and sure enough it was sticking to the bottom. Make sure it is stirred thoroughly. You can add more liquid if you need to. One of our readers suggested pouring the tomatoes and tomato paste on top at the end. I’m sorry the Instant Pot is giving you problems! Followed your recipe to the letter and the chili came out perfectly. This was my second time cooking with my new Instant Pot. Loved how everything was done in one pot. Loved how I could fry the bacon in the pot and didn’t have to worry about grease splattering everywhere. Delicious chili and very easy clean up! Thank you Annette!! Yes, I love that about cooking the bacon! Thank you for leaving a comment! We’re making this now and although we’ve followed the directions carefully, we’ve gotten the “BURN” message on the display twice (even after removing the chili from the inner pot and deglazing it). Did you use high pressure or low? We used high (the default for chili/beans), but we’ll try low pressure now. Crossing our fingers because it looks and smells delicious. We’ve been told new Instant Pots are more sensitive to the Burn message. Make sure it is stirred thoroughly and you can always add more liquid if you need to! We use the chili setting or the manual setting for those that don’t have a chili setting. Family loved it, brother said it was the best chili he’s ever had. Only changes I used: 2.5 lbs venison, 3 peppers, 3 jalapeños, 2 cans of black beans, added extra chili and cayenne pepper seasonings. Making again today but with beef. Going to add corn also. That all sounds amazing! That’s one of the great things about this recipe! It’s so versatile! Instant Pot was used, and this was excellent! I used everything that was listed, and two additional ingredients were added to just make it smoother tasting. I added about 1/2 -1 teaspoons each of cocoa powder and sugar. My family raved about how it had the heat, but still had the sweet smooth taste. It’s certainly a hit. Thanks for sharing. We love to hear this!! So happy you enjoyed it! Made this last night and it was incredibly delicious. For us, next time I will add one more jalapeño and a little cayenne pepper to make it slightly more spicy. We have leftovers for three more dinners. Can’t wait! Thank you for sharing this awesome instant pot recipe. We love the leftovers! They heat up so well and we love eating it on top of baked potatoes the second day! Thanks for taking time to leave a comment! Made your chili tonight…very good! My family agrees…it makes delicious chili fries! This is the best Chili recipe I have ever made. I have made it 5 times already. I do lower carb…so I use 1 can of beans and 2 pounds ground beef. Soooo good. My husband loves it. Thanks so much!! I just made this for the first time, but the final result is WAY too soupy, not thick like chili. I cooked it for 20 minutes using the Manual setting on my Cosori pressure cooker. I was a bit reluctant at first to go with two cups of beef stock because that sounded like too much liquid. Any advice? This recipe only my 3rd for instant pot, previously sounded like I hated this chili well I love it. Waited for the steam release, lifted the lid chili looked cooked even when IP message burned can on the screen. Long story short had 2 bowls so delicious, next time I’ll adjust the amounts. Having a bowl for work than another for dinner. Thank you!! Oh good! So glad you enjoyed it! Very disappointed in following your chili advice.Before putting the lid on removed quite a bit to get the chili down to half way. Received “Burn” message on my instant pot 6 qrt. Checked manual states I should turn off instant pot. You should state proper measurements for instant pots to stay below 1/2 full. Thinking you should halve all your values. The 6 qt Instant Pot is the size that we use and we’ve never had a problem with it cooking properly. I’m sorry it didn’t work for you! You’ll want to make sure it is all mixed thoroughly to avoid the burn message. Made this last night.. The only modification was I cubed some chuck roast rather than using ground beef. The texture of the chilli was really nice and the meat came out very tender. Best Chilli I’ve ever made. Yum! That sounds delicious! So happy you enjoyed it! Yippee! Thanks Valentina! This is recipe is so versatile! It’s perfect for changing to fit whatever taste and flavor you enjoy! Thanks for sharing with us! You’ll want to soak the beans overnight and cook them like normal. The beans should go into the chili already cooked. Enjoy! This looks so good. And perfect weather right now here in Florida for Chile (it’s 34 degrees this am)! I’m making this tonight. That is cold for Florida! How did it go? Hope you enjoyed it! This is our easy go to recipe for a cold day that we love. This is my 3rd time making it and the kids even like it so that is a bigger plus for picky eaters. Happy dancing over here! LOVE to hear this!